2 years and 10 months. We are getting married on October 6. Anita: We met randomly at a LAP (Ladies at Play) event in Atlanta, Georgia. She was the most stunning woman that I had ever laid eyes on. But soon as I saw her she disappeared. Two weeks later, Facebook suggested that Wendy add me as a friend. When she appeared on my computer screen, I was more than ecstatic! I said “It’s YOU, the mystery lady”. Wendy replied, “There’s no mystery to me”. From there the love story began and continues today. Communication and the desire to want to understand each other - not simply settling for “we just don’t see eye to eye”, but seeking to understand why. We believe in loving each other despite and through our faults”. Wendy: For example, I was raised by my father in Detroit and Anita comes from a two parent home. Anita comes from a deeply religious family that worshiped together. My Dad sent me and my sister to church by ourselves on the “Joy Bus”. Anita is more open and readily sees the good in others. Because of my background, I tend to be more cynical. We help each other. I help her be less naïve, and she helps me be less negative. Spiritually is the truly the CENTER of our relationship. It is the tie that binds. We pray together, we worship together, we study together. We both know that beyond a show of a doubt, God predestined us for each other! Our faith in GOD is the source of our strength! What strengthens your relationship: We love the fact that we have our own lives. We don’t lose our friends or our focus on ourselves. We both welcome and celebrate our independence and our individuality. What role does sensuality and mutual attraction play in your relationship? Sensuality is unique to everyone so understanding what that (sensuality) is for another is huge. It could be as simple as a glance, or an intimate as a lingering kiss. As for mutual attraction, it is our “foreplay” if you will - the flirting across the room or the nice, naughty text messages. These play a significant role. 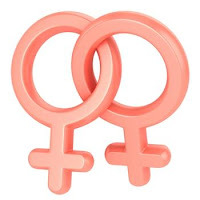 What tips would you give to other lesbian couples? Take time to get to know each other, date…..continue with separate homes for at least a year or two. Cohabiting is a HUGE challenge and it is much harder when you don’ know each other. Keep the lines of communication open and always be willing to understand your partner, even if it doesn’t make sense to you. Lastly, remember you are responsible for her heart. Wendy: I made a jar filled with handwritten notes that explain why I love Anita. Every time Anita does not feel like I love her, she takes out one note out and reads it to remind her why I love her so much. I add notes to the jar too. Can you say more about the key to your success? Thank you, Wendy and Anita, for sharing your love with us. We appreciate your time, energy and generosity in helping us CREATE LOVE! 1. Be a work in progress: I learned, probably the hard way, that I am a work in progress. Every time I think that I have confronted all of my childhood wounds and adult hurts, there is yet one more holding on for dear life. One tell-tell sign that you are still dealing with some old wounds is the repetitive relationship pattern that you just can't seem to shake. You know, this is when you find yourself in the same type of dysfunctional relationship time and time again, despite your efforts to choose someone different. Need I say it? The common denominator is YOU. But it is not the conscious you...It is the wound little girl, or the hurt version of you that is still heartbroken. Here is the key, avoiding pain only feeds its dysfunction. In order to release hurt and wounds from the past you must be willing to turn and face them. Deal with them and free yourself…Because you can run but you certainly cannot hide. And you, and your partner, will pay the emotional cost of avoidance. 2. What we focus on magnifies: I learned that what we focus on magnifies. Wow, this one is sometimes a hard pill to swallow. Venting and complaining can feel so good at times. While there is certainly a time and place for that, perseverating on thoughts that you actually don’t want is like sending the opposite message to the Universe. For example, if you find yourself saying something like, “My partner never pays attention to me” over and over again, it will become exactly the experience you'll have. Here’s why…The Universe is obedient. It is anxiously awaiting an opportunity to give you exactly what you want (Most of you have heard this before, right? It is the Law of Attraction). The Universe is obedient without flaw. If you are focusing and complaining about not getting attention from your partner, it says, “Oh, your partner does not pay attention to you…perfect! We can do that”. Boom!…You get exactly what you wanted. So remember as you are venting and constantly complaining to yourself and your BFF, you are also putting in an order to the Divine Universe. Make a conscious effort to focus on what you want instead of what isn’t working. To the example above, offer the Universe an affirmation that your partner is very attentive. Speak it as if it is already in existence. Then when you see her behavior align with that truth, acknowledge it with appreciation. Next say a silent prayer of gratitude to the God of your understanding. Finally, be intentional with your words! 3. Love is not enough: Yes, it is true! Love is not enough to sustain a long-term, fulfilling relationship. This one may be the shocker for some. Indeed, dear ones, it is not enough. Love is a great foundation. It is the must-have for the beginning phase, but alone it falls short of being sufficient. Think of building your dream home…It is analogous to building your house with only the concrete slab for a base. What about the walls, the roof, etc? In the case of relationships, love needs a myriad of other ingredients: mutual respect, sweetness, communication, commitment, honesty, and whatever else each unique couple decides upon. I do believe that the commitment to love is as imperative as the feeling of love. Why? Well, there are days, if you are together long enough, wherein you will not feel head-over-heels with your sweetie. Nothing is wrong, that is just the way it is. But you can always hold on to the covenant of commitment. In those instances the commitment to love is much more relevant than the feeling of love. So there you have it. I am excited to be celebrating my wonderful anniversary with you. I hope my lessons will be useful for you, or at least inspire conversation with you and your mate. We can all learn from one another and sharing my truth, while an often vulnerable place to be, is my way of contributing to the healing karma. When I grow, you grow…When you heal, I heal. We are all growing through the love we CREATE! Many couples often confuse unity with uniformity. The words are synonyms; however, their meanings have different connotations, especially in the life of relationships. The word unity brings to mind thoughts of harmony, serenity and peace. Unity implies working together lovingly, respectfully and honorably. Unity suggests that two unique people can come together, join together and work together without sacrificing who they really are. Unity appreciates differences, diversity and deviations; it allows for self-expression. Unity honors the individual and the union. However, the word uniformity conveys something else in relationships. It conveys sameness, homogeneity, inflexibility and standardization. The word uniformity implies repetition and monotony. It evokes feelings of rigidity and boredom. Uniformity is not a dirty word. We need some sense of uniformity to run our households, manage our families, and to ensure that we are productive people. But, when uniformity starts to take precedence over unity, your relationship can suffer. So, why is unity preferred over uniformity? Because in life, you don’t have to wear the same uniform (uniformity) to be on the same team (union/unity). You and your boo don’t have to agree on every subject. You and your sweetie don’t have to like the same things. You and your wifey don’t have to have the same friends. You and your lover don’t have to share the same perspectives. And you and your boo don’t have to approach decisions and tasks the same way. Why? Because you and your partner are wonderfully different; you are both amazingly unique. So to require uniformity in all aspects of your relationship, does not honor you as a person who has a unique past, unique interests, unique experiences and a unique way of receiving/giving love. How can you ensure that your relationship promotes and practices unity over uniformity? 1. Own and celebrate your differences. Talk to your partner about her wants, likes, and needs and then find ways to support and honor her. If she likes to golf and you don’t, don’t go. But maybe make her a cooler filled with her favorite food and drinks for her to enjoy while she’s playing. If your partner likes to read and you don’t, don’t nag her about not giving you attention when she’s reading. Go buy her a book or a Kindle and rub her feet while she’s enjoying herself. If you are a Christian and she’s a Buddhist, don’t condemn or judge each other. Don’t make it your personal mission to convert each other either. Finding ways to discuss/address beliefs, principles, needs and practices peacefully promotes unity. Keep in mind that you both want the same thing – to be loved, respected, and affirmed. Remember also that every woman wants and needs to be celebrated, not just tolerated. Yes, you have different ways, views and thoughts. That’s a strength! Complementary skills, talents and gifts can make your union stronger, smarter, more stimulating and more satisfying. So, savor the differences. 2. Tell your truth. In my experience working with couples, uniformity usually happens when partners are not being honest with each other. The main reason is fear, but we will address that in another article. As a result, some partners “just go along to get along” – doing the same things the same way, but secretly hating it. The problem with the practice of “just going along to get along” is that it denies you the freedom to be authentic. Just going along does not get your needs met. Just going along does not honor and respect your personhood. Just going along does not allow you to be vulnerable or heard. And more importantly, going along to get along for an extended period of time is dangerous. Why? Because not having a voice or a choice breeds resentment and causes emotional hoarding. So, always challenge yourself to tell your truth. It may be difficult at first and when discussing certain topics, but strive to be honest with your wifey. Let her know what you feel, and how you feel. If doing something, feeling something, saying something or believing something is not true for you, tell her. Then together, you can CREATE something new, different and mutually satisfying that promotes unity, but does not require uniformity. 3. Work on yourself. Practicing and appreciating unity is hard because we honestly feel more connected to people who agree with us. Research suggests that when people don’t confirm or conform to our way of thinking, we can become defensive and sometimes withdraw. Some of us go into self-protective and self-preservation modes as if a different opinion signals a personal attack. And for some reason, when people believe exactly what we believe, we unconsciously let our guards down. We emotionally relax. We feel good, we feel safe, and we feel that we know what to expect. And, the truth is - many of us have little experience outside of our work life, interacting with people who are different. Just think about your friends and acquaintances. Many of them look like you, go to the places that you go, and like most of the things that you like. But If you really want a richer life, a more satisfying relationship, an opportunity to grow, a chance to know more about your partner, and more intimacy with your boo, work on yourself. Develop your ability/capacity/maturity to not only accept difference, but to embrace and celebrate differences. Trust me, making more room for your partner’s views will result in her making more room for you in her heart. Unity or uniformity? It’s your choice. But if you want to CREATE LOVE in ways that you have never experienced before, I hope you chose UNITY. Why? Because UNITY unifies and satisfies, and never nullifies. I hope you enjoyed Atlanta Pride. I did. It was wonderful to see couples dancing, hugging, kissing and holding hands. It was fun watching couples laugh and smile. I witnessed women proudly introduce their new boo to old friends and acquaintances. It was a joy to see. But at the same time, I wondered do these same couples dance at home while making their own music. Are they equally affectionate at home or do their reserve their hugs and kisses for public events? I wondered are their smiles just as bright in the presence of one, or if a group is required to evoke such emotion. I pondered if they held each other inside their homes, or if holding and holding hands were reserved for group occasions. My questioning may appear somewhat cynical, but my questions highlight some unfortunate truths. As a relationship coach, couples frequently reveal that their partners are more affectionate and demonstrative in public than they are at home. Why is that? That seems backwards to me. Why do some of us wait for an audience to show our love, attraction and regard for our partners? Are our displays an attempt to mark our territory so that potential suitors know that our beloved is off the market? Are our displays an attempt to show others or convince ourselves that we are in love? Couples that report higher scores of satisfaction are couples that feel that their partners are consistent in most areas of their lives. So, are you consistently affectionate inside and outside the home? Do you consistently listen to your partner when you are stressed and not stressed? Do you compliment your partner when they are looking just ok or only when they are looking extremely ravishing? Do you tell your partner that you love them daily or only after they do something nice for you? Are you attentive when you feel like it and also when you don’t? Are you consistent?